This recipe comes from my Aunt Judy from a family cookbook. It sure would be a fun gift to deliver to a favorite neighbor or friend, or put in the work break room too! The only thing I left out was the coconut on the top. I didn't have any and no one in my house is a big fan. Break one "block" of the almond bark off which is about 2 oz. and set aside for later. In microwave or medium saucepan on LOW melt chocolate chips and the remaining 14 oz. of almond bark., blend well. 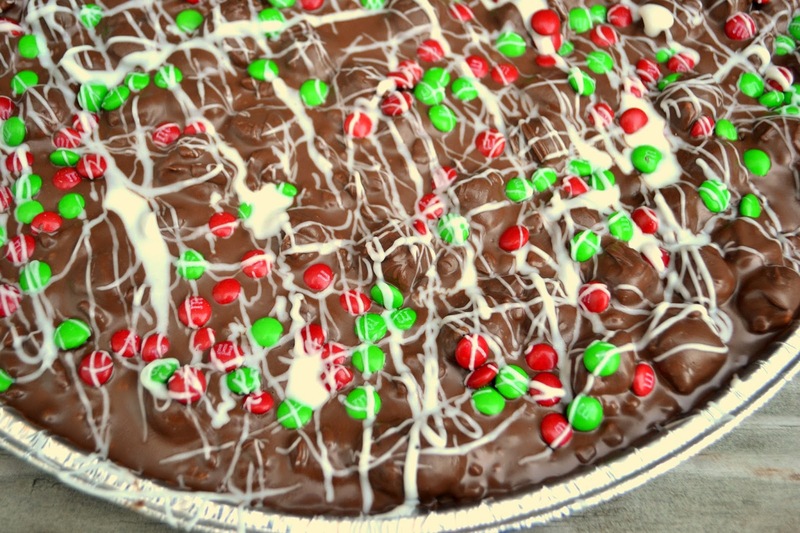 Stir in Rice Krispies and marshmallows, until completelly covered in the chocolate. Spread onto a buttered pizza pan. 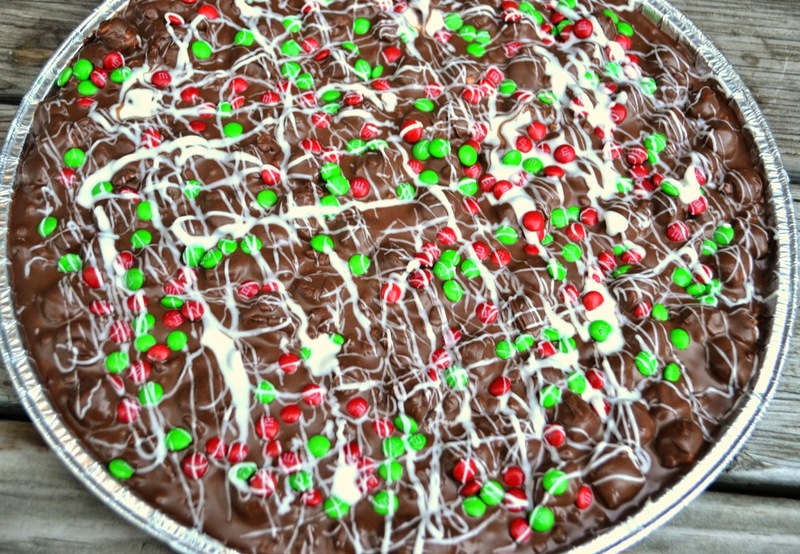 While the chocolate is still soft, sprinkle with M & M's and Coconut. Press lightly if needed to ensure it sticks to the chocolate. Melt remaining block of almond bark and drizzle over the top. Let cool till chocolate is set. Deliver whole pizza pie or cut into pieces.